Distinctive features: Low plant, resembles Wintergreen (Gaultheria procumbens). Small orchid-like blue-purple flowers. Forests.  Wintergreen (Gaultheria procumbens) - Leaves are very similar but smell like wintergreen. Flowers: Spring, Summer; White, Blue/Violet; Irregular flowers; Spring - early summer. Orchid-like. Blue-purple, rarely white. Leaves: Alternate, crowded near the top of the short stem. Habitat: Forests; Dry to moist forests. Status: Common. 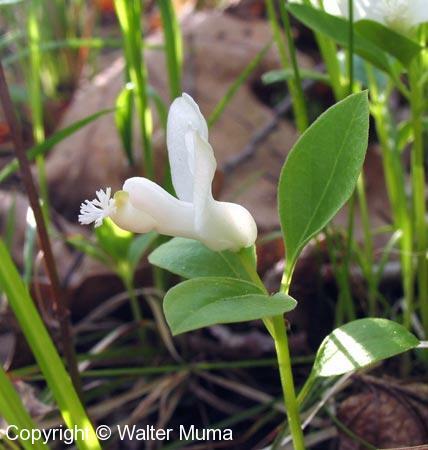 White-flowered forms are rare. 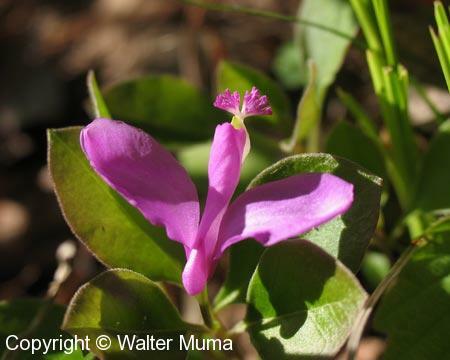 Notes: Be careful not to mistake this for Wintergreen, as its leaves are edible and those of Fringed Polygala are most likely not. Photographs: 263 photographs available, of which 10 are featured on this page. SCROLL DOWN FOR PHOTOGRAPHS. 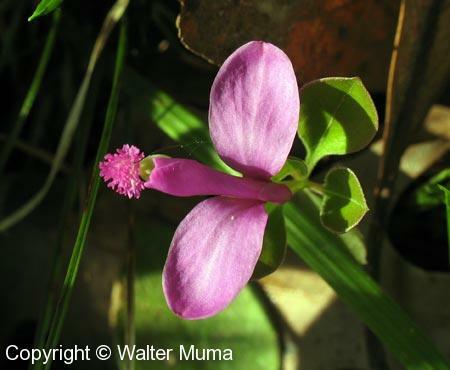 Fringed Polygala has a very orchid-like flower, as seen in these photos. There are three petals. Two of them are outstretched, like wings. The thirds forms a sort of cylinder around the stamens. At the end is this frilly structure. It is usually pink or yellow. 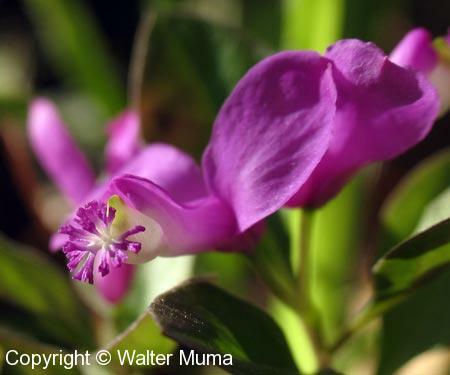 Fringed Polygala flowers are very small, you can almost cover them up with your finger. 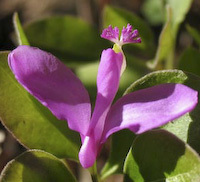 Fringed Polygala without flowers. It closely resembles Wintergreen (Gaultheria procumbens). 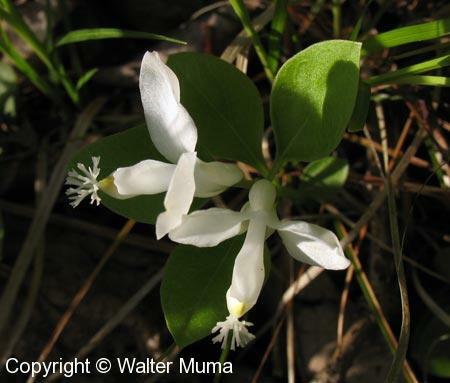 The very rare white-flowered form of Fringed Polygala! The white-flowered form is identical to the regular blue-purple form, except for the pure white color.